Rest… often elusive, frequently missed, always needed. Our bodies and minds are hard-wired to need rest, if we don’t offer it willingly, it will be taken by force. Burned out, sick, short-fused, stressed – all symptoms of a lack of rest. God has been whispering to my soul that I need to rest. To which my first response is, ‘um, have you seen my schedule?’ But upon further evaluation I think, ‘you may be on to something there’. 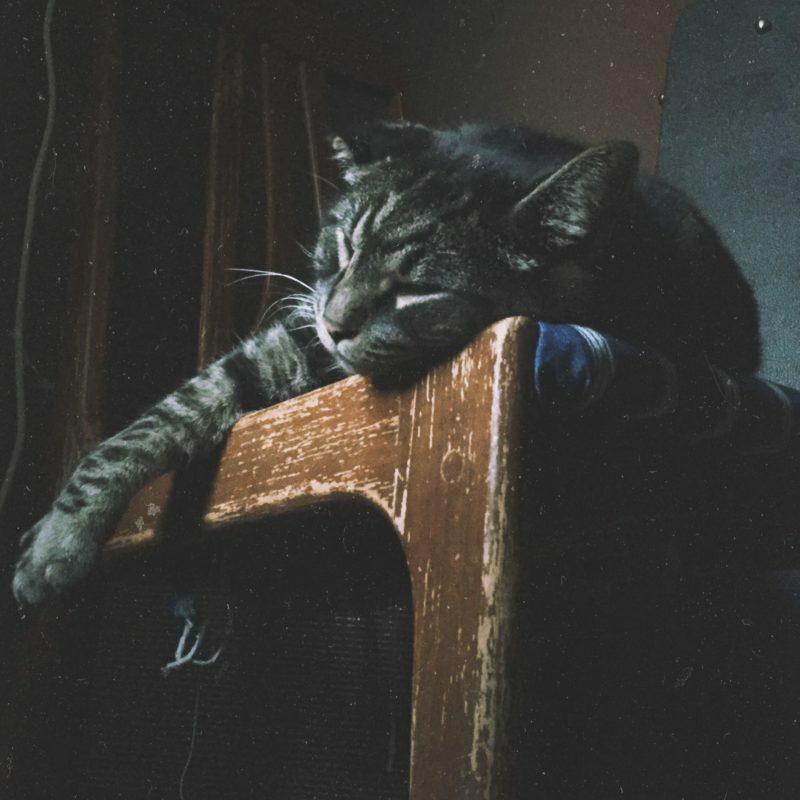 But let’s be honest, how can I rest? I work full-time, have a family, am in ministry and it’s the start of the holiday season, I’ll rest when I’m dead. Yet He says it again, ‘rest’. As I continue to ponder what God is saying (because we all know there’s usually more to the message than the first impression) I get the feeling that what I think of as rest is not what God is referring to. ‘rest in me, be anxious for nothing, be here, now’. A nap is a temporary escape from an ongoing problem, rest is a state of being that produces a vibrant and fulfilling life. To rest, truly rest, means to rely on the finished work of the cross, to trust that God has every moment of your life under control and to focus on the right here and now. Click to Tweet: To rest means to rely on the finished work of the cross. The finished work of the cross, what does that include? Well… everything. Jesus Himself said, ‘it is finished’. What did He finish? The work, the balance due, the struggle. He finished the work of defeating the enemy – (our enemy is defeated, that is a fact, he’s still trying to take as many into the fiery pits of hell with him but make no mistake, he’s completely defeated). He completed the payment for all of our sins – we no longer have a balance due on our account. He ended the struggle between work and grace – grace wins every time, the law has done it’s job, showing our need for a Savior and Jesus has fulfilled every requirement of the law making Him the perfect sacrifice. Now what do we do with this information? First and foremost, we either believe it or we don’t. Either it’s true or it isn’t. If we believe this truth then we must trust this truth. This is where being anxious for nothing comes into play. If Jesus went all the way to the cross for us, why shouldn’t we trust Him with our current situation? Do we really think that He sits back and says, ‘nah, that’s too much, I gotta draw the line somewhere.’ That’s ridiculous, right? What are you facing right now? Is it too much for Jesus? Or perhaps you think it’s too small and insignificant for Him to care? God says He cares even for the flowers of the field, how much more does He care for you? I’m currently in the middle of a situation that is demanding my heart make a choice. Do I trust Him? Do I make the choice to believe that whichever way my scenario plays out that God is in the middle of it? Or do I choose to believe that I know best and if it doesn’t play out the way I want that God has somehow missed something? As I think about my situation (which clearly I’m unable to share at this moment), it churns up so many emotions. It creates anxiety and fear and junk that I’m not meant to carry, yet I pick it up and walk around with it held so closely to my chest that it begins to feel like a part of me. After days of the same offer, ‘please child, let me carry this for you?’ I give in. I choose to trust. I trust that He really does love me. He really does want to work good in my life and He will never hurt me. I’m choosing to trust that whatever the outcome, it’s for my good. I’m choosing to hand over my burden. This is what rest looks like. Now that I no longer am carrying this burden I am free to grab on to other things. Things like a snuggle from my daughter, a fully-present conversation with my son, a quiet mind to focus on my husband. Even things like the sound of the wind in the trees (one of my favorite things ever) seems louder and more alive to me. The burden I carried dulled my senses and robbed my mind of it’s focus and attention. With the release of the burden my vision has been cleared, my ears have been opened and my heart has been released. 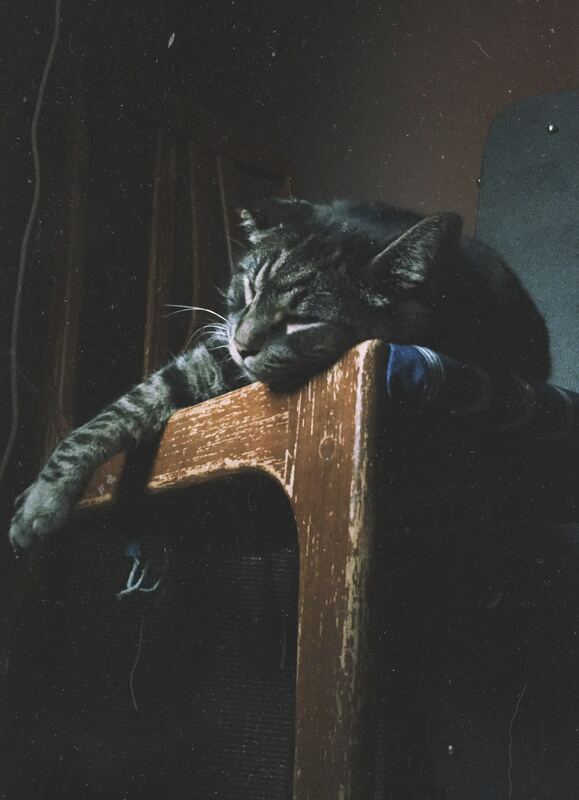 This is what rest feels like. 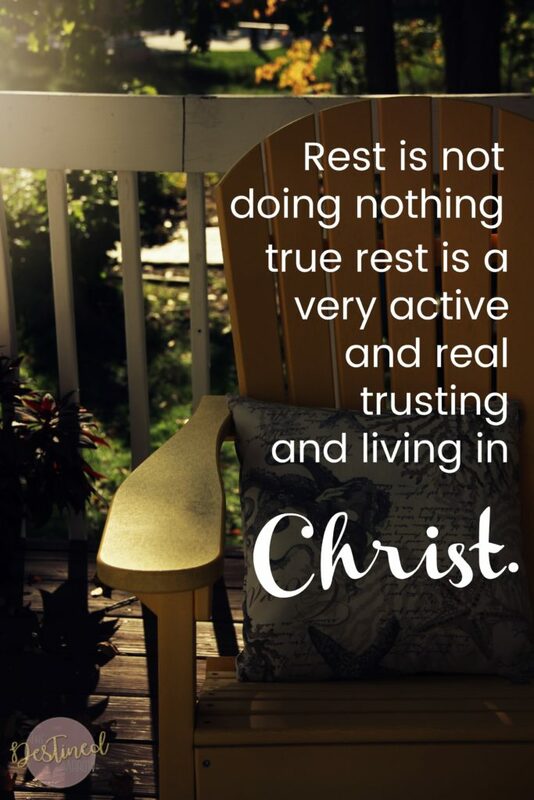 Rest is not doing nothing, true rest is a very active and real trusting and living in Christ.